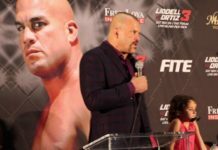 The trilogy fight between Liddell and Ortiz is moving closer to reality as the poster and ticket prices were released Wednesday morning. 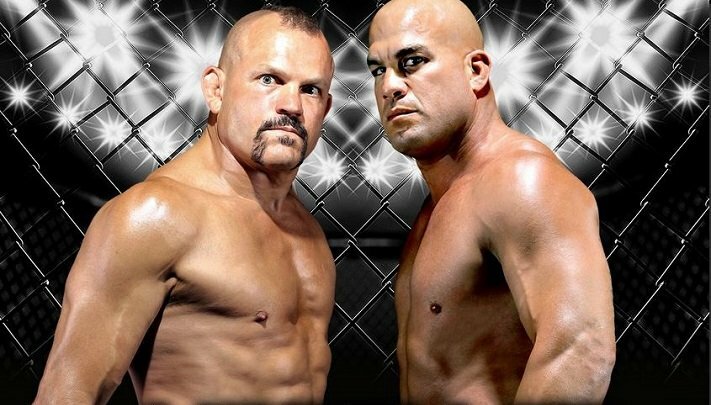 The poster for the controversial Chuck Liddell vs. Tito Ortiz trilogy fight was released Wednesday morning via Golden Boy’s Twitter. The poster for the fight, which goes down November 24, of course features both Liddell and Ortiz. However most notable, in the words of Joe Rogan, is that Liddell has “that” look in his eye, and looks intense as ever. 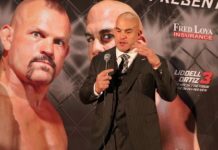 The fight has been brewing ever since Chuck Liddell announced his comeback intentions. The poster doesn’t feature any other talents than Liddell and Ortiz. In addition, we don’t yet know who will be apart of the event with the exception of recently released UFC talent Gleison Tibau. Tibau is fighting on the undercard against an opponent yet to be named. Along with the poster being released, Golden Boy has also unveiled the official ticket prices for the event. Tickets for the show, which takes place November 24 at the Forum in Inglewood, CA go on sale Friday, September 14 at 10:00 am PT. 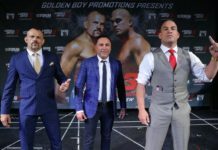 Tickets are priced at $30, $50, $100, $150, $300, $500 and Ringside VIP $1,000, per a press release. What wasn’t announced in the release is the PPV price for the event. The fight will be broadcast live on PPV, and is likely to be less expensive than the UFC price point of $64.99. Still, the official figure remains to be seen. De La Hoya is crazy if he thinks a lot of people will pay that PPV price. Greedy. He should have made it 19.99.